VIEW’D is a new logo design and iOS app icon design project, which I’m currently working on, and am happy to share the ongoing logo design case study of this ongoing branding project. I will update this ongoing logo design case study with new screenshots and photos of my mock-ups, sketches, and scribbles as they are done. In this post are just a few snapshots of the later stages of the project, showing the most recent logo design concept (above), as well as some initial thoughts on the style of typography for the VIEW’D brand name. This is proving to be a fun and interest project to work on, mostly because it’s challenging. I like a challenge. It’s challenging because there are a few direct competitors to VIEW’D: namely Skype and iChat, but this app has some practical advantages that could make it a worthy contender. Getting the styling and branding right, and probably the iOS app icon in particular is really important. I know for a fact that a nicely designed application icon is important, and can play a big role on someone choosing to download it, or place it pride of place on their main home page screen. Its like the ‘don’t judge a book by it’s cover; but a lot of us do. To this effect I’ve chosen to adopt more of an overall visual graphic, than a regular logo. As in, the brand name and typography is pretty secondary to the actual eyeball, as this is what will ultimately be seen first. Actually the same was true for the Feedly logo (which was also animated) and app icon design I did some years back, and that’s still going strong. There was more of a design focus on the cross platform application icon, that the actual logo as a whole. You rarely see the ‘feedly’ name (set in Helvetica). VIEW’D is set to be a new dynamic application that brings phone and video calling to a whole new experience. 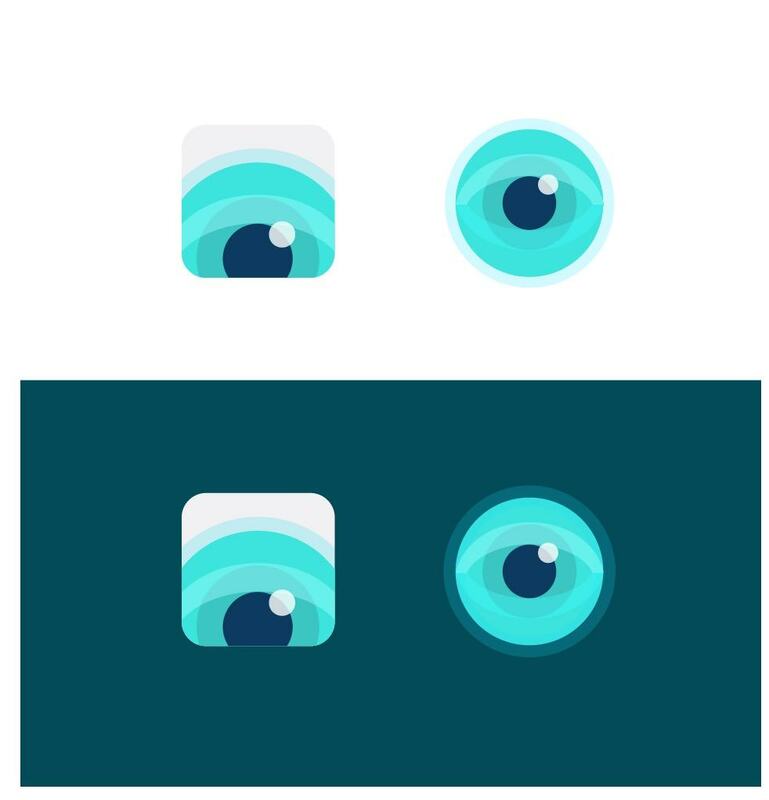 Some minor changes to the eye, by removing the outer light blue border that was previously there. Also enlarged the inner dark blue circle (iris) and the Play icon relative to it’s surrounding elements. » Next Post: Freelance Graphic Designers: How do you Find New Work and Clients?